In order to help subsidize our community based projects Spanish Language classes were made part of our curriculum. We offer classes to all levels, in groups and individually. All profits go directly towards our non-profit programs. 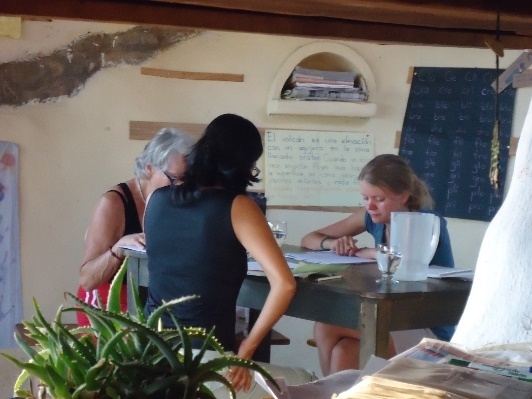 Learn Spanish from a fantastic teacher, with a beautiful view of the Pacific Ocean while simultaneously helping the community you are visiting.